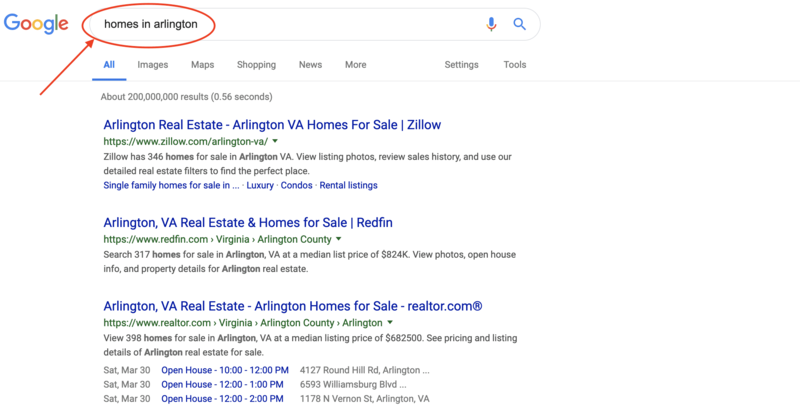 Remember when you used to search for "homes in Arlington" and just got a list of results from Zillow, Trulia, and other websites selling homes in Arlington? Weren't those the good old days? Google is serving up an answer for pretty much any possible intent I may have had behind my search query. Maybe I'm looking for the latest news on homes in the area. Maybe I'm looking for homes in relation to where I currently live. Maybe I'm looking for a listing site that I can browse through. Google will measure what link I click on. They'll measure how many clicks I made, how long I spent on certain sites before coming back to these search results, and how many pages deep I go before moving on to something else. Google will take that information and store it in their massive user data storage closet. 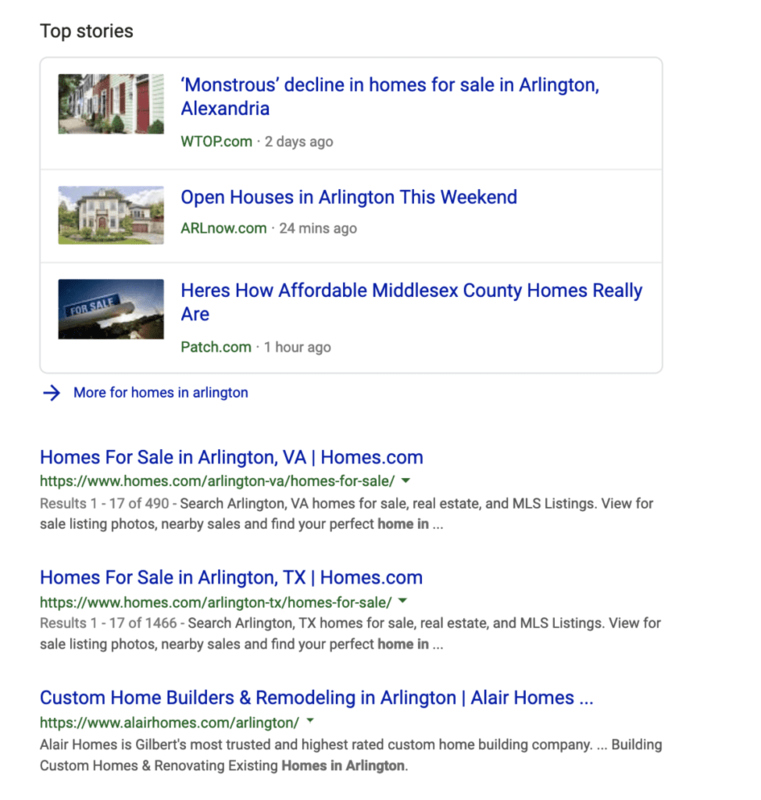 The next time I search for "homes in Arlington" (say, in a week), I will get different results. Using the information Google has from the last time I searched for that, and information from millions of other people who use Google every day, Google will make adjustments according to where they think I am in my buying journey. It's this concept of "context & intent" that is killing exact-match keyword targeting. Google announced that it is moving away from exact-match keyword targeting, and focusing more on "close variant" keywords, with the intent that may be behind the user's search query. This is an example of the ever-evolving way that Google is trying to deliver the best results to the user, in as few clicks as possible. What does this mean? 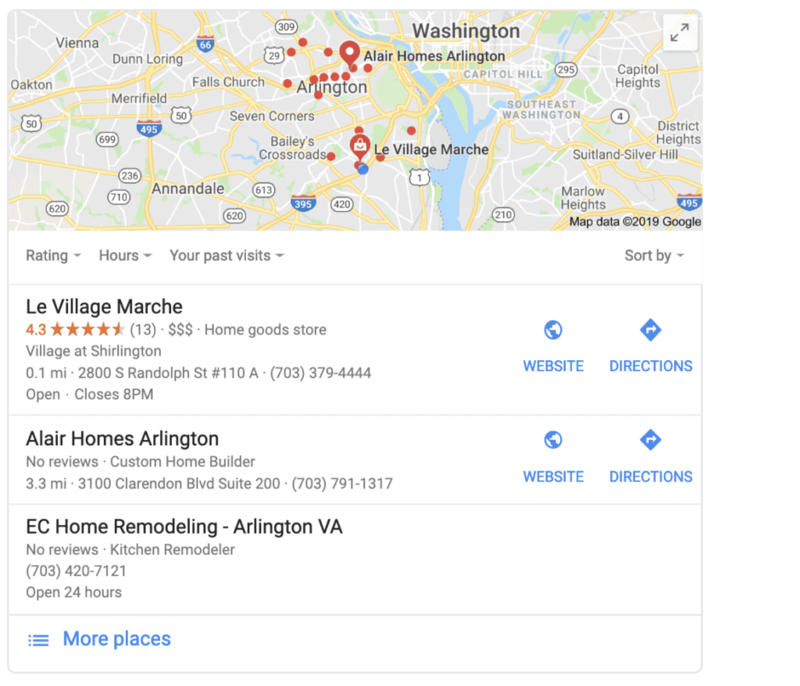 From an advertising perspective, it means that relying on exact-match keywords in your Google Ads Search campaign is going to become much more complicated. Traditionally, exact-match terms would prevent your ads from showing for search queries that you did not believe were relevant to your product. Now, Google may still show your ad if it believes it meets the intent behind the user's search. Negative keywords used to be a way mitigate some of the risk of generating low-quality impressions, but this shift by Google will make even those less effective. What can we do? Negative keywords are still important to have, and will filter out some of the low-quality impressions. Aside from that, there isn't much you can do right now. Trust the machine-learning will deliver your ads when they are most relevant to the user, and I anticipate conversions and traffic will normalize over time. Still confused? Reach out to us today, and let us help you through some of the questions you may have.